• An auction is the way to go. However, it comes with a horrible catch: Every owner in your league has to be fully invested in it. If (like me) you have one or two “casual” owners in your league, it just doesn’t work. • Unless you are in a Yahoo public league, everyone should have everyone else’s phone number. Trades should be negotiated via text or, better yet, phone call (or, even better yet, in person). Here’s the problem with trades in modern fantasy football. If you offer one via the league site, 90% of the time the other owner feels a need to counter-offer, even if the situation doesn’t warrant it. (You’re offering me Todd Gurley for Falcons DST… hmmm, pretty good, but could you throw in Julio Jones for the late Elroy Hirsch?). Of course, a lot of initial offers via site are awful since owners can hypothetically talk you into anything (to get Odell Beckham, he'll surely take Graham Gano and an upgrade on the bench with Terrance Williams for Robert Woods). But, without a doubt, the worst part about negotiating trades in modern fantasy football is the owner who emails offers because he or she is too wimpy to just make an offer via the site. Because instead of feeling satisfaction that a trade offer they made was accepted, they immediately feel like they didn’t ask for enough. • You should absolutely be playing with Individual Defensive Players, but only if you discount or completely eliminate tackles (a statistic that is unreliably compiled and often utterly meaningless). The emphasis should be on splash plays: sacks, tackles for loss and turnovers. • Finally, the best idea I’ve heard about fantasy football in at least decade (and, unfortunately, one that I haven’t had time to work into my leagues because we’re too busy around here in the summer). If you’re like most leagues, you determine draft order with the “random” button on your league site, or picking out of a hat, or whatever. Something random. All credit to my oldest brother and fantasy expert Scott for coming up with this one: Preseason Fantasy Football. Everyone in your league drafts a starting lineup, and points are compiled based on the entirety of players’ preseason stats. The order of standings in your preseason league is your draft order. It’s absurd and awesome and will actually give you a reason (besides sad desperation) to watch preseason football. The man that I nicknamed “Gronk” will be just fine during Tom Brady’s four-game suspension. OC Josh McDaniels has mastered the art of getting Gronkowski into single coverage. “If you see Gronk in single coverage, throw it in that general direction” is a pretty easy recipe for your handsome, young fill-in QB. I will seriously consider quitting any league in which I do not get Jordan Reed. He’s borderline unstoppable in Washington’s offense and a red-zone force. Though he has also missed 14 games over three NFL seasons, so if you own him you’ll have to say a prayer for his health every night before bed. I think this is the big one. Klemko stopped by K.C. and witnessed the Alex Smith-Kelce love first hand, and while Kelce isn’t really into the whole “blocking” thing, he does have that Baby Gronk skill set as a receiver. I like Greg Olsen. 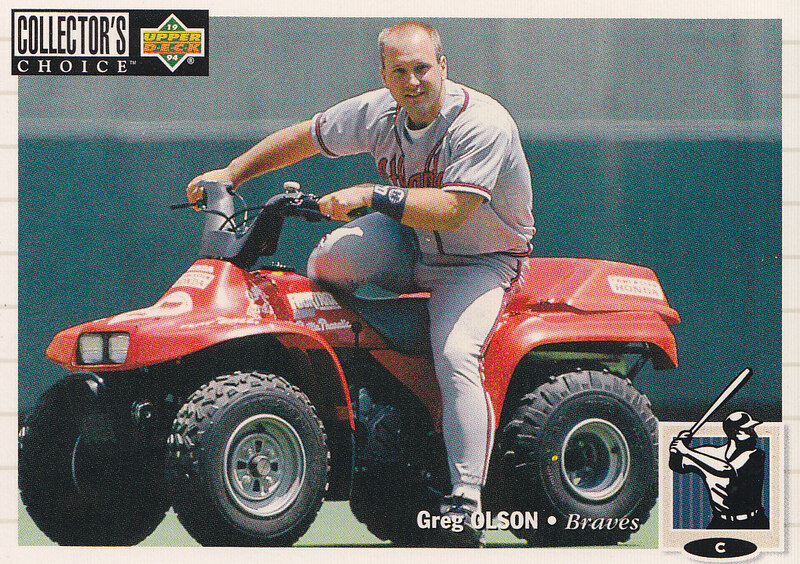 He’s my second-favorite Greg Olsen ever (behind the former Baltimore Orioles closer, but ahead of the former Atlanta Braves catcher). But I do think he’s a longshot for a third straight 1,000-yard season; Kelvin Benjamin is going to eat into his targets. Andy Benoit and I talked about this on our tight ends podcast: The Seahawks used Graham all wrong early last year, trying to meld him into a plodding, run-first offense. But after losing Marshawn Lynch midseason, the Seahawks transitioned to a spread offense heavy on a timing-based passing game. That is the right offense for Graham. Of course, he suffered his season-ending knee injury early in the fourth quarter of Seattle’s first full game with the new offense (he had four catches for 75 yards on eight targets against the Steelers before going down that day). What you saw late last year is what Seattle is going to be on offense this season, and Graham is primed for a big bounce back year. Trivia: Who led all tight ends in targets and catches last year? If you said anyone but Delanie Walker, you are a bit of a dunce since his name is right above there. There’s no clear timetable for Eifert’s return from ankle surgery, and durability has been an obvious problem through his first three seasons (20 games missed). His fantasy upside is pretty exciting when he’s healthy though. He emerged as a red-zone beast last year, and the departure of Marvin Jones and Mohamed Sanu could lead to a bigger role for Eifert between the 20s. He’s a very good talent in a very good offense, and with Martavis Bryant suspended Green could conceivably be the No. 2 option in the Pittsburgh passing game. He also could continue to be the injury-prone, inconsistent player he was in San Diego. Since he figures to be a big-time red-zone weapon, lean toward the optimistic side. Ah, yes, one of the good Garys. He’s a much better option than any of Philly’s receivers. The problem is not only that the Eagles won’t score many points, but Ertz has just nine touchdowns over three seasons so far. The return of Tony Romo is great for Witten’s statistical production, but make no mistake, the Cowboys will skew absurdly run-heavy this season. Witten’s upside is limited. With Calvin Johnson retiring, there’s an opening for freakish playmaker in Detroit’s offense. Ebron is the best candidate, but for all his raw talent Ebron has never scored more than five touchdowns in a season, in the NFL or in college. He was always a better talent than Coby Fleener, and now Allen will get a chance to prove it. The Colts offense should have a big bounce back year, and they’ll be very pass-heavy. With the speedsters on the outside, it’s easy to envision Allen emerging as Luck’s top underneath target and best red-zone option. It’s tough to invest too much in a guy who’s never really produced in the NFL, but Allen has clear top-10 TE upside. He’ll probably be no more than the No. 3 option in the Jaguars’ passing attack, but they didn’t sign a tight end who can’t block to not utilize his receiving skills. He’s coming off a career year in New Orleans, and Watson might have an opportunity to meet those numbers in Baltimore, where they could go with a four-tight end base considering the injury issues among their receivers. He and Philip Rivers still have that mind meld going. The Patriots will play a ton of two-tight end sets, so don’t consider Bennett a typical No. 2. He should end up being the third-leading receiver in New England after Gronk and Edelman. The Packers don’t sign free agents often, so they must see something in Cook. He’s always been one of the NFL’s most athletically gifted tight ends, but he’s never has even an average quarterback throwing to him, let alone Aaron Rodgers. Cook vs. Richard Rodgers is a position battle to watch. For a security blanket-type, Clay was maddeningly inconsistent last year (four games of 60 yards or more, five of 20 yards or fewer). Maybe Adam Gase can get this offense clicking, but Jarvis Landry and DeVante Parker will eat up too many targets for Cameron to get more than scraps. Miller put up some solid numbers in a part-time role last year (34 catches, 439 yards) and gets elevated to a starting role with the departure of Martellus Bennett. But, well, there’s a reason he hadn’t appeared in an NFL game in any of the three previous seasons. Walford is probably a year or two away from being considered a breakout candidate, but he’s a good talent on a rising offense. The Vikings rarely throw it. And when they throw it to Rudolph, it usually doesn’t result in a big gain. First, he has to stay on the field. Amaro is a natural receiver, though between Brandon Marshall, Eric Decker and a stable of good pass-catching backs, there won’t be much for him. He was actually pretty good late last year. Tye had 32 catches for 368 yards and 3 TDs over the last seven games of 2015. Well, he’s still the talent who went in the second round back in 2013. And, who knows, maybe getting into Chip Kelly’s uptempo attack will lead to some sneaky good games for McDonald. The fact that Green Bay brought in Jared Cook doesn’t bode well for Rodgers, as the Pack distances themselves from anyone who tried to catch a pass for them in 2015. The 2015 second-rounder has a chance to carve out a significant role this season as the Ravens frantically shuffle injured receivers. I look forward to the 30 for 30 about Tamme catching 10 passes against the Bucs last November. 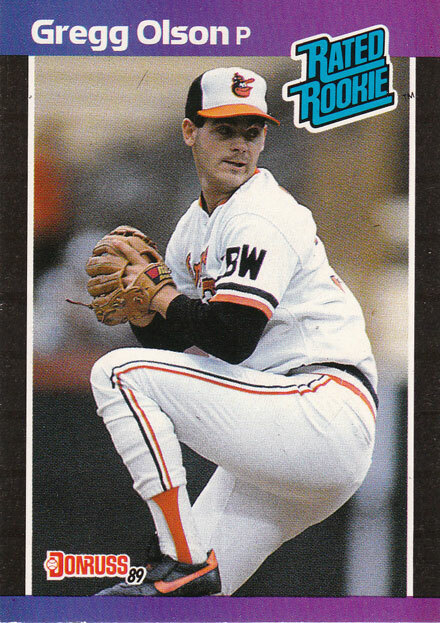 Mark Sanchez-to-Virgil Green could be the new Bubby Brister-to-Dwayne Carswell in Denver. Hooper should be more NFL-ready than most rookie tight ends, coming out of Stanford’s pro-style system. And with only Jacob Tamme and Levine Toilolo ahead of him on the depth chart, it wouldn’t be a shocker to see Hooper taking the bulk of the tight end snaps in Atlanta by midseason. Holy crap, there are three Ravens tight ends on this list. The best tight end among another weak rookie crop, Henry only becomes interesting if Antonio Gates goes down. For those of you who want to draft a Broncos tight end, but just don’t want it to be Virgil Green. A big-bodied athlete, Kroft might have an early-season opportunity with Tyler Eifert out. I can’t believe I made myself write 40 of these frickin’ things. Well-educated at the University of Connecticut.